If you&apos;re interested in learning more about the history and mystery of China, we&apos;ve got some suggestions to get you started. Beyond the surface-level understanding of China that you get from the overdone tourist experiences, China Highlights offers memorable excursions that give insight into Chinese culture past and present. Take a look and start planning your own adventure with us today. Explore the Forbidden City like a true VIP. The Forbidden City is an obvious choice for anyone interested in exploring the best of Chinese culture. Like any well known site, there&apos;s plenty of tourist traps that you&apos;ll want to avoid for an authentic experience. Luckily, China Highlights offers the perfect answer to the problem with our in-depth tours. We offer a Forbidden City experience you can&apos;t find anywhere else. Explore the wonders on the Forbidden City Heritage Walking Tour and see the palace up close and in context with guided and historically engaging access. 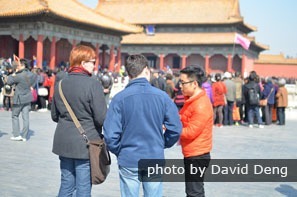 This one-day tour gets you VIP access to The Forbidden City under the experienced eyes of our history-loving guides. Spend the day learning about everyday life in the imperial court and skipping the long lines of general tourists. If you&apos;re interested in behind the scenes tours, in-depth cultural knowledge, and historical context then this tour is your key to unlocking a deeper understanding of China. 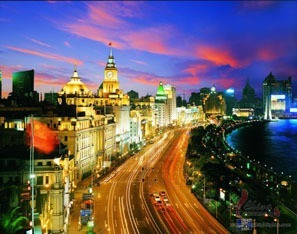 Experience the sights on the historic Bund. The city of Shanghai is known for its international flair and tech-savvy industries, but there&apos;s plenty of history amidst all the glitz and glamor. Many of our Shanghai tours include the 2-hour Bund In-Depth Discovery Tour, enabling you to see the best of the city&apos;s history like a local. The 2-hour In-Depth Bund Culture Discovery tour will bring you back to the golden age of the Bund in the 1920s. During the tour, your guide will take you to see the architecture and history of this famous district. You will walk a route that&apos;s off the tourist trails to see the most original spots and hear interesting stories you’ll never find in history books. Explore the Terracotta Warriors up close and personal. 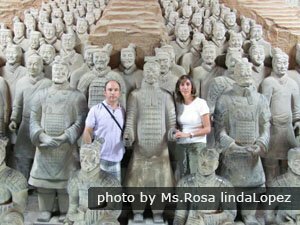 The ancient city of Xi&apos;an is home to China&apos;s most famous army, the Terracotta Warriors. These ancient soldiers were built to guard the remains of the first emperor of China. They were unearthed in 1974 and have delighted and amazed visitors ever since. On our VIP Xi&apos;an excursion, you have the opportunity to see these cultural wonders up close. The Terracotta Army provides insight into the people of ancient China. Visit the warriors and see the sights of Xi&apos;an with a personal guide who knows the cultural and community history of the area. No need to queue in long lines with our advanced entry passes, well-organized itinerary, and private Terracotta Warrior exhibition. The old river town of Daxu shows traditional culture at its finest. The beauty of Guilin is known worldwide, but there are certain aspects you can only understand through the eyes of a local. Our tour guide and local scholar will be along for the adventure to make sure your experience reflects all that this magnificent region has to offer. Discover Old Town of Daxu with a Local Scholar to see ordinary people&apos;s life in the shadows of the Guilin mountains. Located 18 km southeast from Guilin, Daxu is an old town along the Li River with some original buildings dating to the Ming and Qing dynasties (1368–1911). Daxu means &apos;big market&apos;. Lots of craftsmen and businessmen lived there throughout its history. The older generation still living there is a witness to the history and culture of the old river town. Let’s knock on their doors, to discover their lasting story of Daxu with a local scholar. Chinese calligraphy is a beautiful and traditional art form. Guilin has inspired artists for generations and you could be next. 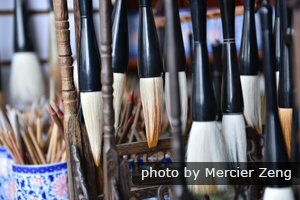 Learn the arts of Chinese painting or calligraphy with China Highlights in cooperation with the Chinese Language Institute（CLI）in Guilin. Officially affiliated with Guangxi Normal University, CLI offers one-on-one Chinese language and culture opportunities for visitors looking to understand the rich history of Chinese language and art. 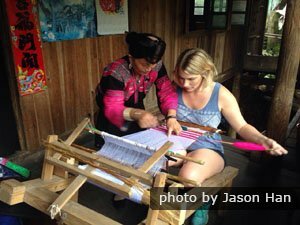 Plan a Guilin tour with our professional teachers who will introduce Chinese culture in an interesting way for beginners to gain an understanding of the language. Assisted by the teachers, you will learn how to use the traditional brushes to draw some simple designs and write Chinese characters. 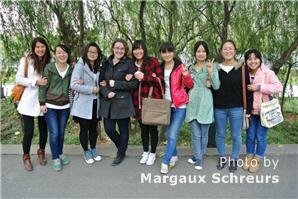 If you want to understand Chinese culture, a good place to start is with it&apos;s many diverse people groups. 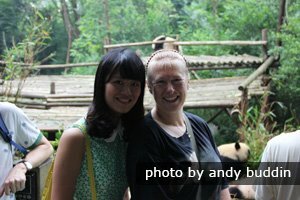 On your Longsheng adventure, let our guides introduce you the Zhuang, Yao, Miao and Dong minority groups in the Guilin area. Learn how to make oil tea, a snack with origins in the Yao minority group, from the experts. On your tour of Longsheng, you will visit a family who have lived in an 80-year-old wooden house for generations in the village of Longji. You will have a chance to interact with this hospitable family in an authentic homestyle setting. Sit around their stove, smell the smoke, and watch the transformations taking place in the family wok as traditional dishes are made right before your eyes. You may pick up some embroidery tricks from the 78-year-old old granny who is eager to meet guests and share her knowledge of the area. Learn to make traditional dishes. To know a country, you have to know its food. Learn about China&apos;s culinary culture from a local with a Yangshuo tour with China Highlights. Explore beautiful Guilin and add in a bit of spice with a cooking class experience you won&apos;t soon forget. This class begins at the local market where ingredients for the dishes are chosen by the students. Back at the rooftop patio-classroom, you have an opportunity to learn four dishes and enjoy the fruits of your labor. What happens during the class? 1. 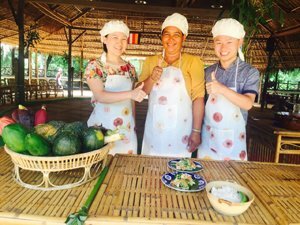 Meet the teacher in cooking school and choose three meat dishes and one vegetable dish from the menu. 2. Walk to local farmer&apos;s market and see different kinds of seasonable vegetable and meat sold in the market. 3. Back to school to start the class, there are three steps to learn: chopping, frying, and seasoning. 4. Taste the dishes you cook and receive the recipes after class. See traditional teaware and learn the art of a tea ceremony. If you are a tea fan, the in-depth tea culture tour of Hangzhou will greatly satisfy your thirst for knowledge. Our guides will take you to a beautiful tea plantation to pick tea-leaves, visit tea farmer&apos;s home, and learn the art of tea-making. We’ll pick you up in the morning from your hotel, and drive to the origin spot of the best Dragon Well tea – Meijiawu Tea Village. 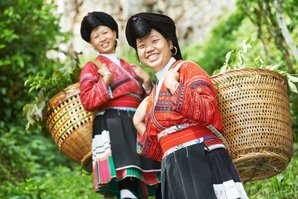 A local tea specialist will welcome you with bamboo baskets and accompany you to the tea plantation. Your first task will be to choose appropriate tea leaves and pick them in the right way. After tea-picking, the specialist will take you home and show you the process of stir-frying tea. This process dehydrates the leaves and helps preserve their beautiful green color. The tea specialist will show you the art of the tea ceremony, and introduce you to the proper way to taste the tea. After saying goodbye to the tea village, we’ll drive to the National Tea Museum. This is mainland China&apos;s only museum dedicated to tea. 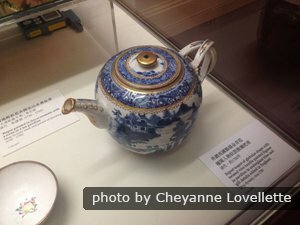 There you will see tea exhibits and precious teaware and learn about the general history and classification of tea. At Chenghuang Pavilion you can have a bird&apos;s eye view over Hangzhou and West Lake. The Southern Song Dynasty Snacks Banquet is included and contains a cup of healthy flower tea, West Lake lotus root starch, Hangzhou style cat’s-ear noodles, wrapped fried bread sticks with shallots, and local moon cakes. During the banquet, enjoy a traditional stringed and woodwind instrumental performance and a traditional tea ceremony. Spend time with China&apos;s beloved pandas. China is known for being the home to adorable and cuddly pandas. If you&apos;ve always wanted to see these gentle creatures in their native environment, this Chengdu tour is the perfect opportunity. Once you&apos;ve spent a day with these national treasures, you&apos;ll be even more connected to the spirit of China. This unique one-day, Panda Keeper tour lets you get close to the highly protected pandas and offers a chance for you to hold one in your arms for photos. The ultimate social media moment! 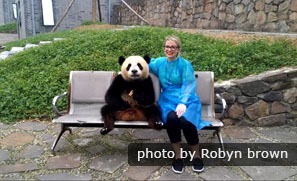 Note: There is a daily quota of 20 volunteers for the Panda Keeper Program. Please inquire and confirm at least two weeks in advance. Explore the unique beauty of fengshui in Hongcun. 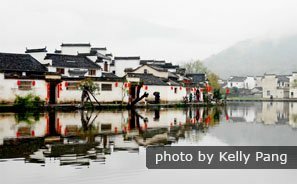 Fengshui culture can be explored in the traditional setting of Hongcun Village, with the Yellow Mountains as a backdrop. 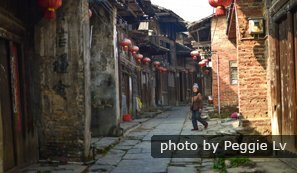 This village near Huangshan has slept quietly for over 800 years. It exhibits the timeless principles of fengshui through it&apos;s traditional design. An in-depth tour of Hong Village with China Highlights will bring you back to the elegant China of hundreds of years ago. It&apos;s an artists&apos; paradise. Hongcun village life reflects the famous Fengshui theory, which is an important part of Chinese culture. The village is built in the shape of a cow and features unique agricultural elements that have landed it a World Heritage site distinction. Here you will observe the unique way fengshui impacts architecture, village planning, and everyday life in a remote and traditional village. The best way to understand a country is to jump in with both feet and travel as far as you can. We are here to help! 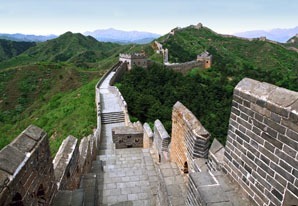 Come to China and learn about the fantastic history, sweeping landscapes, and welcoming people of the Middle Kingdom. We can help you get started on a deeper understanding of China today with our classic China tours of well-trod cities or our custom excursions for more personalized adventures. 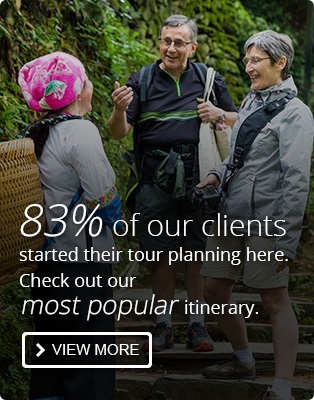 Let&apos;s get started planning your trip!